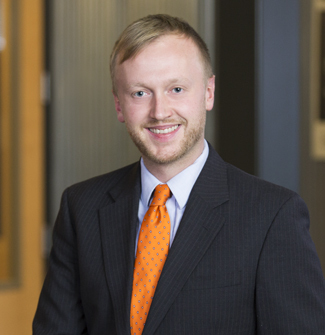 Daniel Corbett is a member of the employment law group at Orrick’s Global Operations Center in Wheeling, West Virginia. Dan provides high-value employment litigation and counseling services to global leaders in a variety of sectors, including retail, tech, and financial services. Dan has deep experience in a number of areas, including wage-and-hour class actions, trade secrets and unfair competition, discrimination and harassment claims, and whistleblower matters. He brings three years of intellectual property (IP) experience to Orrick, having practiced in the areas of copyright and trademark law prior to joining Orrick in the employment group. Dan co-founded Orrick's Trade Secrets Watch blog, and he continues to serve on the editorial board. The blog quickly established itself as a leading voice in the trade secrets area and has enjoyed a positive profile on Page 1 of The Recorder and discussion in media such as Corporate Counsel, Bloomberg, and Law360. For the third straight year, Orrick’s Employment Law and Litigation group was recently named Labor & Employment Department of the Year in California by The Recorder, the premier source for legal news, in recognition of their significant wins on behalf of leading multinational companies on today’s most complex and challenging employment law matters. Prior to joining Orrick, Dan worked at Elliott & Davis in Pittsburgh, where his practice focused on trademark and copyright law. He has worked as a grant writing consultant for nonprofit organizations and as an intern with a public policy think-tank in Washington, D.C. Dan studied journalism in college, where he worked for a local newspaper and a public radio station. Dan is an avid runner and completed five marathons in five consecutive years before (temporarily) hanging up his running shoes after he and his wife welcomed their second child. He currently gets most of his exercise chasing after toddlers. We’ve blogged on trade secret preemption before (here and here, for instance), but we’ve usually focused on trade secrets claims preempting other types of claims, and not the other way around.